CHINA COMPUTER INDUSTRY ASSOCIATION(CCIA) China Computer Industry Association(CCIA)was established on April 17,1987 in Beijing and registered with the Ministry of Domestic Affairs in April,1991 as a commonalty. China Computer Industry Association is a social organization organized and participated by enterprises and institutions which are engaged in scientific research,development,production,and application of computers and related products.Now,there are more than 190 registered members in the association.It also has five regional social organization members in shenzhen,Shanghai ,Jiangsu,Zhejiang,and Henan.Regislered members of the five totaled 600 plus. The principle and purpose of china computer Industry Association:Observing the Constitution,Laws,regulations,and policies of the state;Respecting social morality,China Computer Industry Association serves its members and the government;safeguards the lawful rights and interests of its members;and carry out works under the principle of "fairness ,unity,service";serves as a bridge and link between government and enterprises and institutions;to promote the development of China's computer industry. 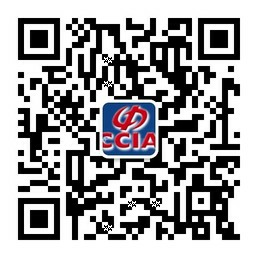 The competent authority of China Computer Industry Association is the Ministry of Information Industry . China Computer Industry Association is one of the authoritative mass organizations in information industry in china.Most of its member are manufacturers of computers and related products.Many wellknown computer companies are members of the association.Statistics show that their computer output value accounts for 60%of the total computer industy output value in china.There are nineteen members among the top hundred electronic enterprises.Their sales account for 23% of sales from top hundred,and 37%of total sales of computers on domestic market. The membership of China computer Industry Association is showing a tendency of developmental pluralism.The number of joint-ventures,foreign capital enterprises and enterprises jointly managed by China and foreign countries in the association accounts for 27% of all its membership,injecting new vitality for the development of China Computer Industry Association. Copyright © 2017 CHINA COMPUTER INDUSTRY ASSOCIATION All Rights Reserved.